A friend recently called me brave because I road trip with my kids. I’m not sure bravery has much to do with it. Road trips are just what we like to do. In a family of four extroverts, we like to go places and do things. My kids are good travelers, probably because we’ve loaded them up in the car since they were tiny. Cate and Ben often spout the same questions when a road trip is nearing: How long does it take to get there? How many nights are we staying? Will we see anyone we know? What are we going to do there? Our new-to-us mini van has a built-in DVD player, so movies were part of this road trip. Really, it’s the first time we’ve included DVDs on the road. They watched “Frozen” on the way down and “Dolphin Tale” on the way home. We spent Thursday evening through Sunday evening in Nashville. First, I should tell you, don’t go on a road trip on a holiday without a plan for dinner. Otherwise, you’ll end up eating at McDonald’s because most places aren’t open and the ones that are require reservations or $40 for each adult plate. Yes, I know this from experience – this experience. But we had a good time, watched some college basketball, stayed at a fabulous rental house, and ate well the rest of the time. I’ve got to tell you, I’m generally not a fan of museums. I don’t know what this tells you about me, but I’m grateful to be married to someone who agrees with me. Yet we both liked this one. Maybe because it’s not really a museum. 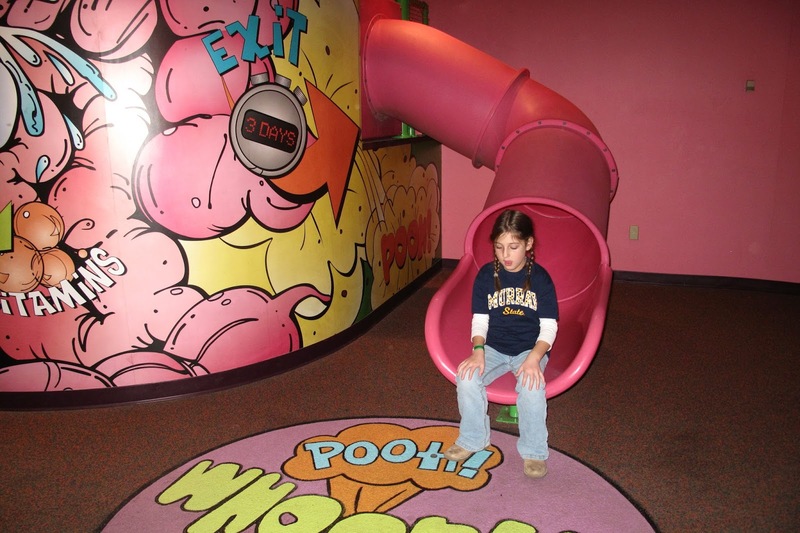 Adventure Science Center is hands-on and has some great exhibits. 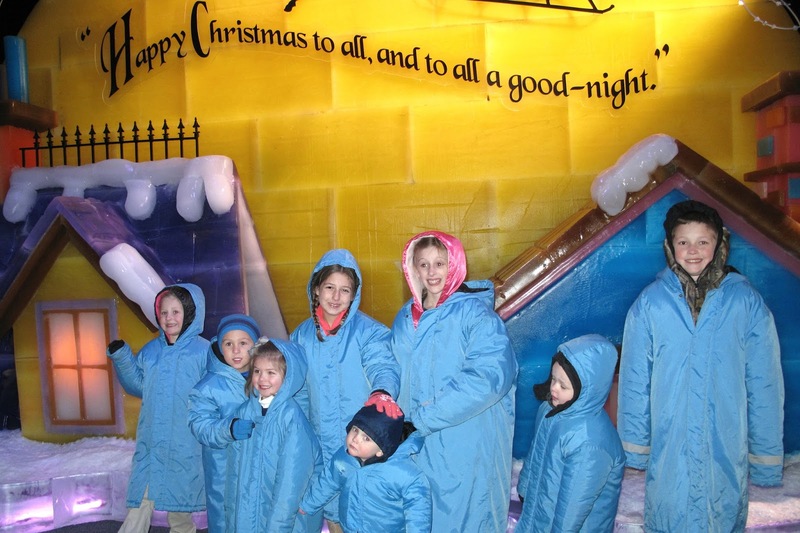 The kids enjoyed themselves, although Cate wasn’t entirely sure about sliding out of an intestine! Greg and I had been to ICE! before we had kids. The details are amazing, especially considering it’s all made from ice. Yes, Ben and his cousin Evelyn licked the ice. Gotta love 5-year-old kids with no fear. This isn’t something I’d go to every year, even though the theme changes, but I was glad for the kids to walk through the 9-degree exhibit in amazement. 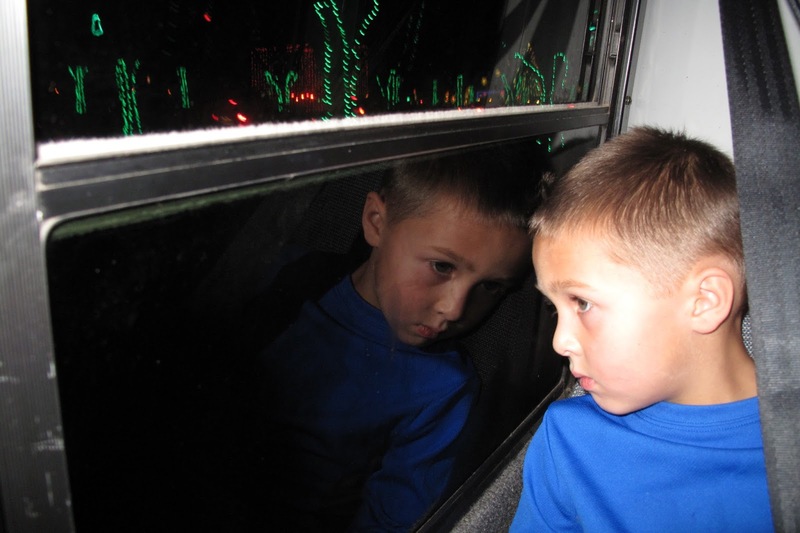 Ben has been asking to drive through the Christmas lights at our local park since he saw them being set up a couple weeks ago. I kept telling him after Thanksgiving we’d go. We haven’t driven through the local ones yet, but we did drive through this fabulous display that lasted almost an hour. The lights danced to music. Our group decided Go Fish’s “Christmas with a Capital C” was the most entertaining song of the bunch. Of course, our group was six adults and eight kids 10 and younger in a 15-passenger bus so we could make the best use of the $25 per vehicle admission. My family of four met my cousin Jeff, who working as an orthopedic surgeon resident at Vanderbilt Medical Center, for lunch one afternoon. He picked the place and did a good job. The food was yummy and the kids enjoyed watching the handmade tortillas being made. I have been wanting to go here since Greg and I were in Nashville in September and didn’t fit this into our overnight date. We all liked it so much that we went twice. On the Friday after Thanksgiving, we arrived with our party of 12 a little before 8 a.m. and didn’t have to wait in line at all. We returned on Sunday morning a little after 8 with a party of 16 and only had to wait a short time before they sat us at two tables. I ordered French toast both times. Yes, I realize I was at a restaurant that boasted about its pancakes in its name, but the French toast was one of the few things marked with the restaurant’s specialty ribbon, so I figured it was a good choice. As a French toast connoisseur, it was an amazing choice – possibly the best I’ve ever had. We’d eaten here before, but somehow I had forgotten about the sweet cornbread bites they serve that are really more like funnel cake than cornbread. This place is good for big groups and has yummy food. This was new to us, but I’m glad we went. We watched the guys making our pizzas and then enjoyed eating them when they came out of the wood-burning stoves. Plus they serve Mexican Coke in a bottle, which many in our group were excited about. While in Nashville, we also ate at Five Guys Burgers and Panera Bread – a couple chains we love – and stopped at Rafferty’s in Clarksville, Tennessee, on our way home. Do you road trip with kids? 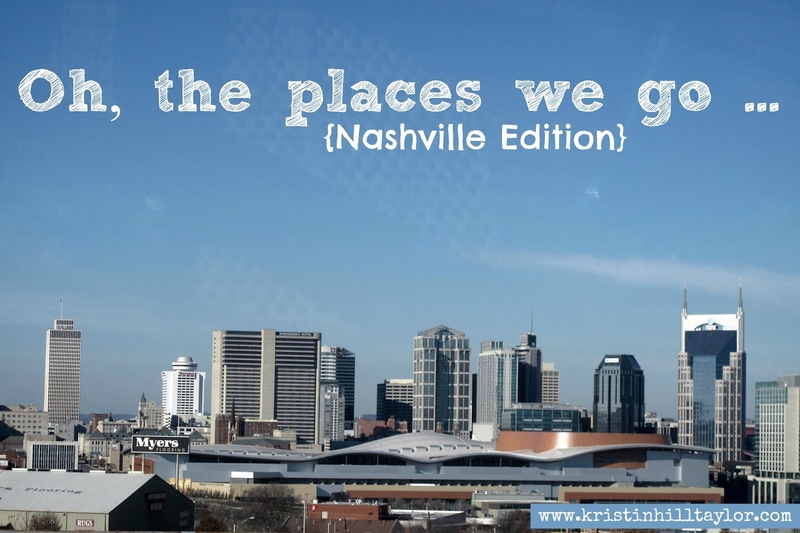 What would you add to your Nashville to-do list? This is the third in an occasional destinations series I accidentally started recently. Murray Edition. Chicago Edition.